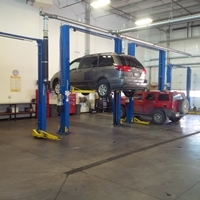 We are an automotive repair business with a unique twist: you can visit us at our service shop in Airdrie, or we can come to you! We also provide mobile diagnostics and repair of smaller problems on the road. 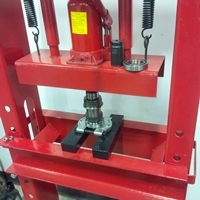 Tools in Motion provides service for most makes and models including general repairs, maintenance and inspections. 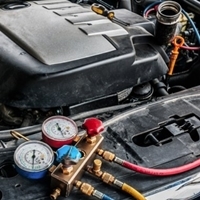 We specialize in diagnostics, programming and electrical trouble shooting on late-model vehicles. Tools in Motion is a family owned business, operated by automotive service technician Tim Clark. Tim started his business in 2008, operating at first as a mobile service only via his fully-equipped service truck. As his business started to grow, Tim soon found himself with more customers than one person could service alone. In late 2013, Tim and new business partner Chris (who has since left the company) built our 4500 square foot repair shop in Airdrie. 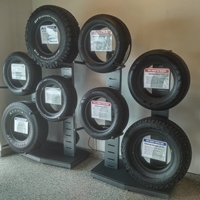 The partners set new standards for what an honest automotive business could be, and Tools in Motion soon became one of Airdrie's busiest repair shops. Tim works to maintain these standards today, and take good care of the customers who continue to support us. Tools in Motion is an AMVIC licensed and insured auto repair business. "I just wanted to thank you for your help. I can honestly say I've been around for quite some time, and have used many vehicle shops over my years, and Tools in Motion is by far the most rewarding and satisfying I have ever had in all my experiences. 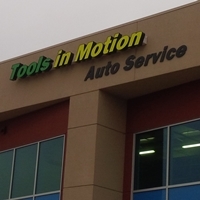 The detail to the concern and authentic answers to our questions has led to my assumption that Tools in Motion is going to be a leader in the service business in our area." "Excellent shop. Had taken truck to dealership they told me my truck needed new front brakes and tie rod ends. The mechanics here looked at that and said front brakes at 80 percent and tie rod ends were only showing minimal wear. 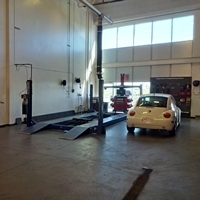 Other services performed were less than half the cost of dealer with the same or better parts. Saved me almost 3000 over what the dealer wanted to charge me for."